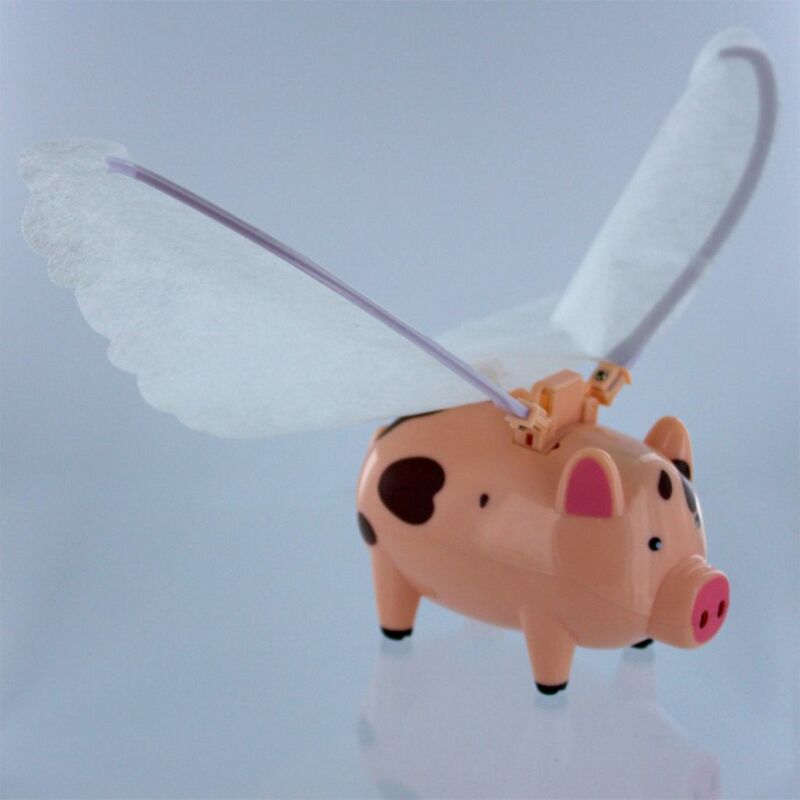 Make students learn when pigs fly. Add some excitement to your lessons on circular motion with the Flying Pig. Suspended from the ceiling, his wings flap and carry him in a regular circle. With the string, this motion gives students a conical pendulum and a perfect opportunity for quantitative measurements of circular motion. Ordering information: Lab instructions included.